Aaron advises to check for stains before purchasing. Anne suggests going regularly and picking one section to search. Brenda suggests to go often because the selection will be hit or miss. 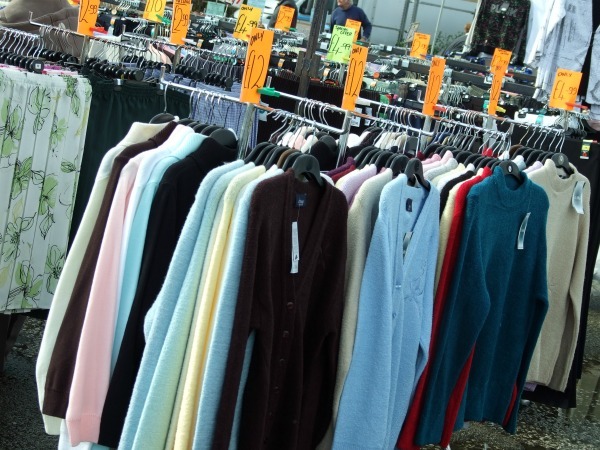 Jacque shares, “I shop all the local thrift stores with some regularity. I don’t usually have something specific I am looking for as I rarely find things that way. I browse and look at almost everything – mostly in the housewares aisles – and if it appeals to me and it is priced well, I snag it. By going often I have developed a pretty good feel for what is a good price. I have found Goodwill to be pretty sophisticated with knowledge of real antiques or valuable or popular collectibles and do not find much of these kinds of items in their stores. I am pretty sure they have a secondary market for those things. So I don’t go there as often. I love the Salvation Army store because it is always clean and fresh items put out daily. Their prices are extremely good and they half a half-off day once a week. There are several ‘junk’ stores around too and some really nice consignment shops where I have found unusual items and great deals. I LOVE thrift shopping! I have way too many collections which I try to rotate for display or use … but this is one of my main hobbies and it brings me a lot of pleasure to hunt for things. And when I get tired of them, I just re-donate. Jacqueline advises to go with an idea of what you are looking for. Jennifer encourages that patience is key. Shanna says to wash your purchases before use. I wholeheartedly agree! Shelli advises going without kids. Shirley shares that going at the beginning of the month is best. 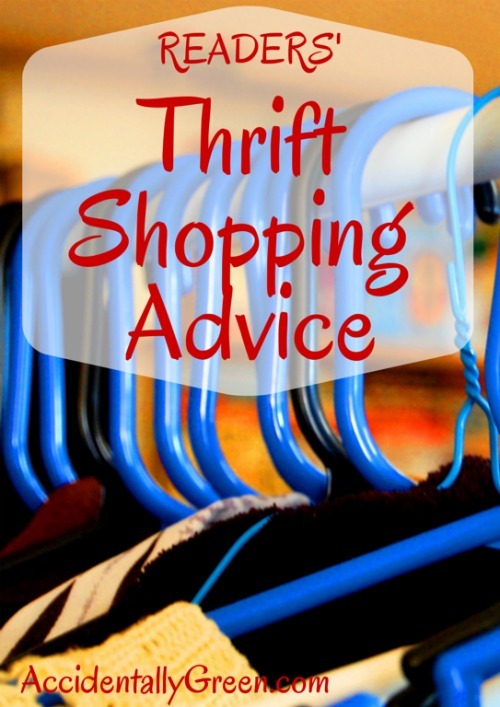 Tracy suggests going to a thrift store frequently if you’re looking for something. Zedda makes a detailed list before she heads to a thrift store. “And pray before you go that God will put what you need where you will find it.” I love her advice! I can attest to praying for certain purchases before heading to the store – it’s fun to see how God will bless those prayers. 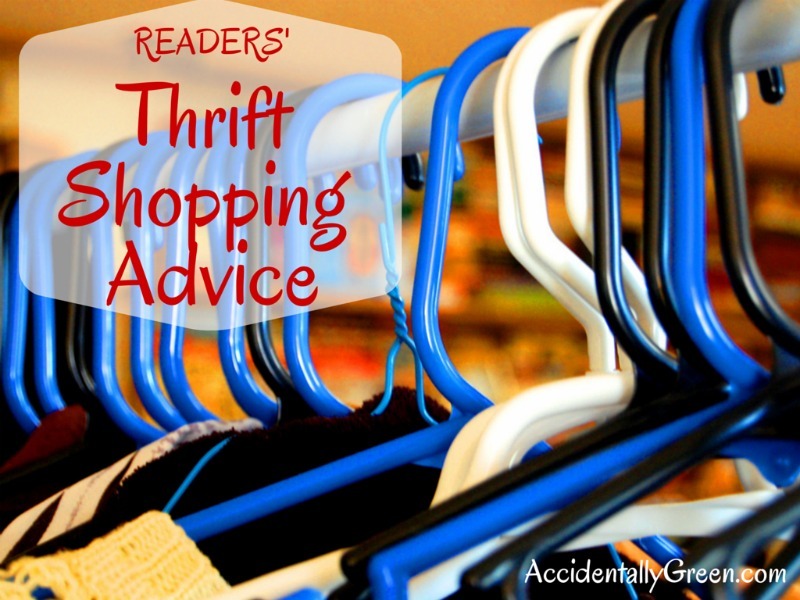 What advice do you have when it comes to thrift shopping? Shopping without kids can help keep you focused on saving – not wanting to just get out sooner!